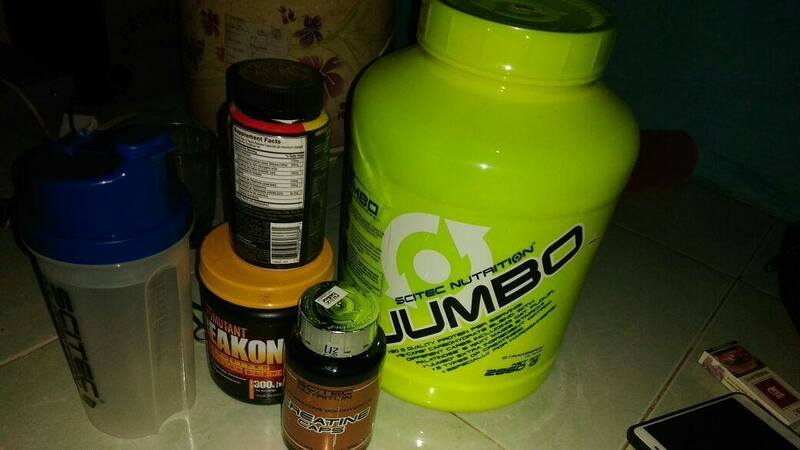 Gainier perfect for keeping your muscles will begin to grow like mad. The highest quality and well proportioned nutrients make in a short time not even know of her figure - will be muscular and radiating force! 192 loyalty points Your cart will total 192 points that can be converted into a voucher of 7,68 PLN. JUMBO MEANS BIG! JUMBO INDICATES STRONG! 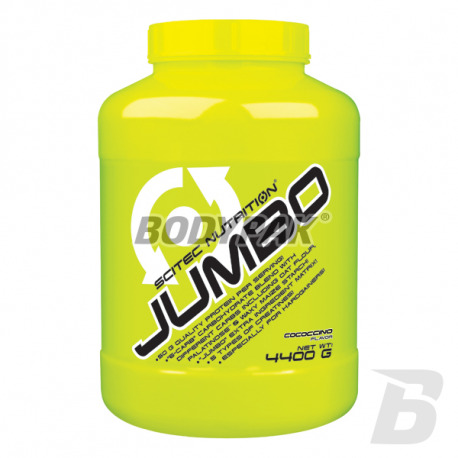 Scitec JUMBO is a breakthrough product, the effect is visible already after the first dose. If you are looking for a product that offers more than any other - you should reach just after the conditioner. Scitec years proves that it is the best manufacturer and its products are the best in this category - but this time outdone himself creating JUMBO. Yes polished gainiera you will not find on the market. An additional advantage is the relatively low price of this supplement in confrontation with what is able to offer. Do not be fooled, the cheapest products do not reach even to heel JUMBO. Buy supplements guided by quality - in the end "we are what we eat". Science has proven that people do not appreciate receiving nutrients while dieting, but also overestimate actual consumption of the food they eat, when they want to gain muscle mass and strength. In other words, they eat less than they think and less than they need for steady and significant progress in training. Everyone is looking for the golden mean, ignoring the fact that there is nothing more powerful than continuous consumption of the right amount of calories, energizing carbs and muscle building protein. If we consider the fact that many trainees do not devote enough time and energy to keep a diary of diet (as a proven method), then the only practical solution is used daily Jumbo, which guarantees a sufficient amount of nutrients capable of achieving excellent results. 50 grams of high quality protein in one portion, the large dose of fast and slow-release carbohydrates from 6-CARB and other matrix components provide excellent nutrition for your body JUMBO! Whey protein derived from milk is considered to be protein "complete", since it provides all of the essential amino acids including the nine essential for the life of amino acids (histidine, isoleucine, leucine, lysine, methionine, phenylalanine, threonine, tryptophan, valine), which the body can not They produce them. The term "efficacy" nutritional protein content of the diet is largely based on an estimate of the extent to which the protein contained in the nitrogen is absorbed and retained by the body, and that is able to compensate for the daily loss of nitrogen. The net protein utilization (NPU) of the percentage of nitrogen that is absorbed by the body, while the biological value (BV) is the percentage of the absorbed nitrogen, which has been 'stuck' in the body. Thus, BV is the product of NPU and digestion. Whey protein is a well digested and is easily digestible amino acids and therefore its biological value (BV) is very high compared to other types of proteins derived from meat, fish, egg or soy. 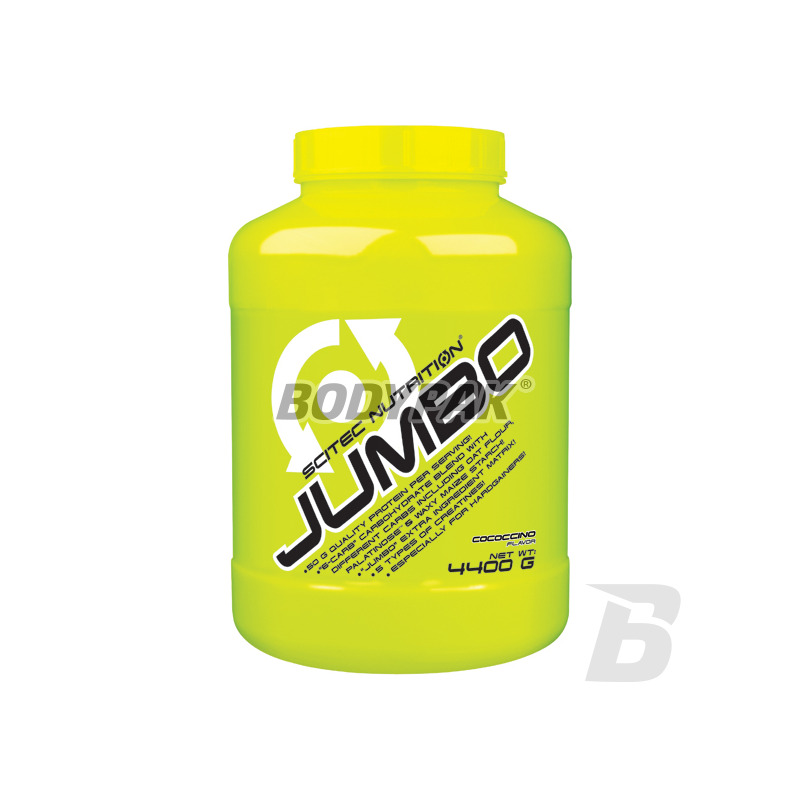 JUMBO contains "6-CARB" carbohydrate blend consisting, among others, oatmeal, palatinose ™ and Waxy maize. Waxy maize is a unique, patented mixture wysokocząsteczkowych carbohydrates, which thanks to a unique manufacturing process have unique molecular profile that differs from the standard sugars (eg. Glucose, fructose) and current products maltodextrin. 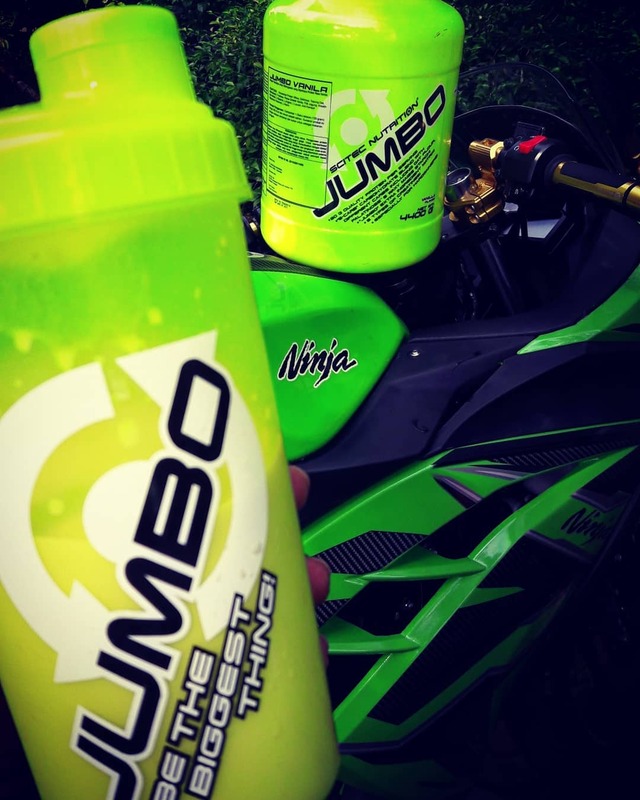 JUMBO as the enriched matrix contains the optimal dose of a proprietary multi-component blend of creatine "CREA-BOMB." Scientifically it is proven that the consumption of at least 3 grams of creatine per day increases the productivity and effectiveness of brief, yet highly intense workout like. Strength training and aerobic *. For JUMBO also we added additional amino acids to supplement those provided with the protein, including the amino acids. Contained in the "complex supporting 'dose of magnesium helps the correct synthesis of proteins, reduces fatigue, promotes the proper functioning of the nervous system (supports proper nerve conduction and muscle tone, including the heart muscle), contributes to normal energy metabolism and helps maintain electrolyte balance , maintenance of healthy bones and teeth, and plays a role in cell division. * In addition, added to the product Bioperine® patented extract of black pepper. Jumbo does not contain sweeteners including aspartame! 1/2 serving (120g) 2 times a day. Ingredients: dextrose, Palatinose ™ (isomaltulose - carbohydrate with a low glycemic index) oatmeal , maltodextrin, fructose, corn starch. 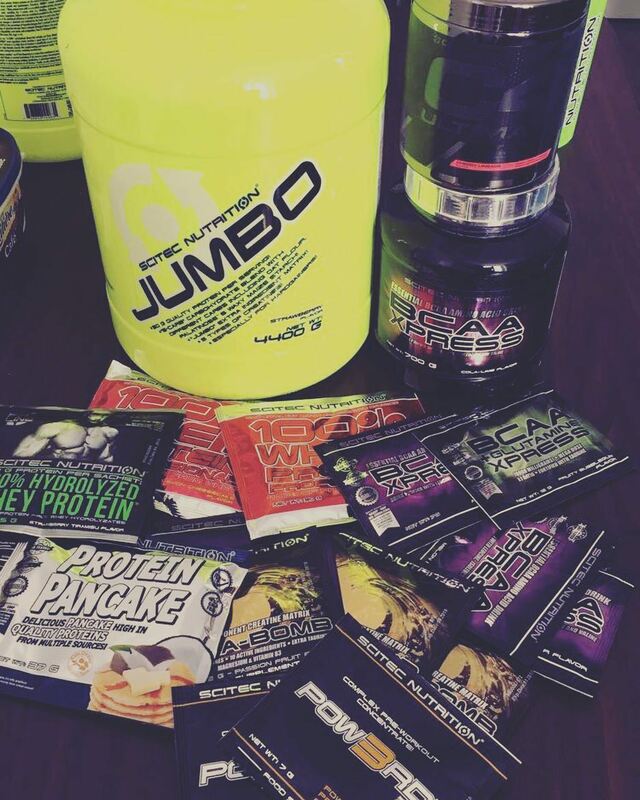 Ingredients: creatine monohydrate, micronized creatine monohydrate, creatine citrate, creatine phosphate, creatine pyruvate. Ingredients: L-Arginine base (880 mg), L-ornithine HCl (88 mg), calcium alpha-ketoglutarate (88 mg). Components: The ultrafiltered whey protein concentrate (derived from milk, instantized involving soy lecithin ), dextrose, oatmeal Palatinose ™ (isomaltulose), maltodextrins, fructose, cocoa powder (10-12%), natural cornstarch creatine monohydrate, flavor (chocolate), L-glutamine, L-arginine base, L-leucine, micronized creatine monohydrate, L-isoleucine and L-valine , magnesium carbonate, calcium alpha ketoglutarate, L-ornithine hydrochloride, creatine citrate, creatine phosphate, creatine pyruvate, L-alanine, BioPeryna® (extract from the fruit of Piper nigrum). Jeden z lepszych gainerów jaki stosowałem do tej pory. Smakowo również rewelacja!